A successful event is a combination of things. Good idea paired with a good organisation and always good music which gives perfect atmosphere. NOWADAYS, THERE IS NO PLACE FOR AVERAGE EVENTS. PEOPLE WANT AND DESERVE THE BEST. Tomo Ricov, born in 1965, fell in love with music as a teenager and even today, music is his biggest passion. He is the radio editor and radio host ever since establishment of Radio 101 and until today, with his engagement on Yammat FM. 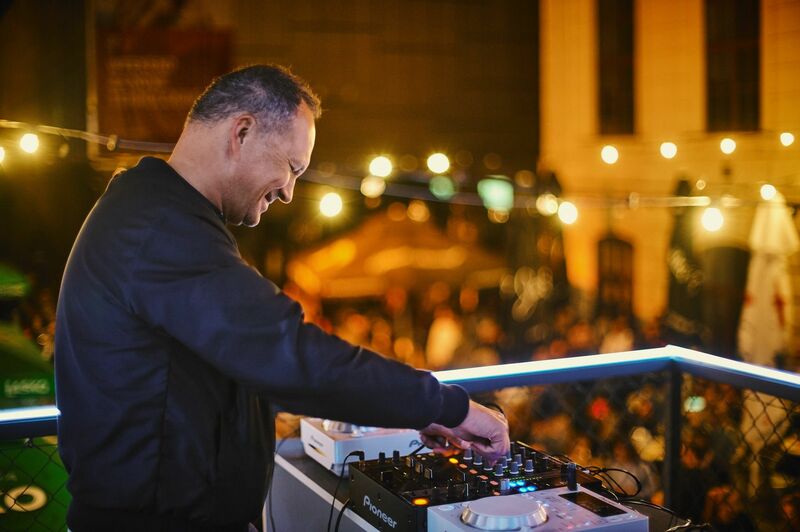 He is a club DJ with more than 30-years’ experience: from clubs Kulušić, Gjure, Tvornice and Pepper. He is the beginner of many cult programmes like Blue Moon, Studio 54, Pepermint Twist and Great Gatsby. Tomo Ricov stands behind the organization of many very successful events in Croatia and beyond, where he changed the role of event marketing. 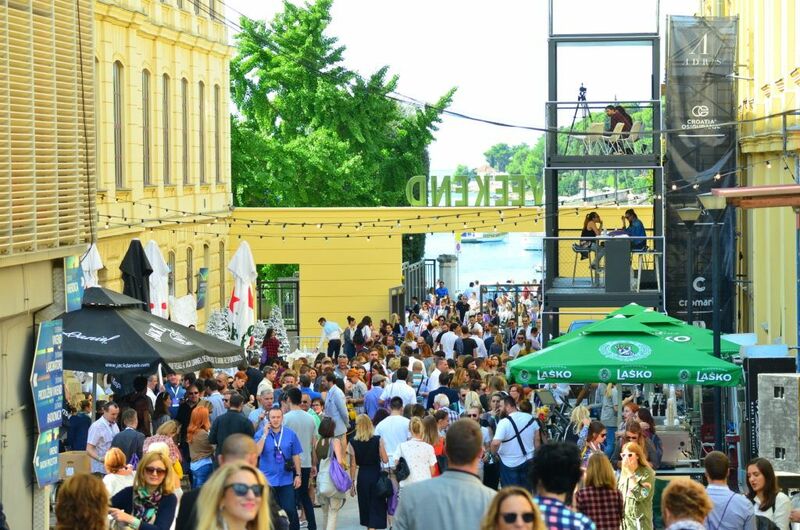 Initiator of Croatian event marketing was in charge of the biggest regional agency Da! where he produced more than 1,000 events for biggest Croatian and International brands (HT, Zagrebačka Banka, Adris, Heineken, Siemens, Microsoft, TDR, Coca Cola, Zagrebačka Pivovara, etc.). He participated in development of Snow Queen Trophy race, was director of Terraneo festival. Founder and director of event agency Pepermint, initiator and director of Weekend Media Festival, Dolce Vite and Vintage Zagreb Festival. Author of awarded project Gentleman’s Jack Barber Shop and Jack’s Record Storea and Refined party. Initiator and co-owner of clubs Pepermint, Johanna Francka, Pepper and KIC in Zagreb. Q: How did you get started in event planning? It was a natural thing for me. As a teenager, I felt in love with music, which is my biggest passion even today. For more than 30 years I am a DJ, from cult club Kulušić, to Gjuro, Tvornica, Pepermint and now Peper, KIC and Johann Franck. Back then we started lots of programs that became well known like Blue Moon, TomTom Club, Studio 54 and recent like Pulp Fiction, Pepermint Twist or Great Gatsby. So, it was a natural path to start doing events. The next step. Q: In your opinion, what is a successful event? What is your receipt for a creative and successful event? A successful event is a combination of three things. A good idea paired with good organisation and good music, which creates the perfect atmosphere. Q: What is the biggest change in event organization since your beginning and now? A number of things. Now, there is a prolife and afterlife of the event. It now exists on several levels. On social networks and on the venue. It was very challenging in the begging but now, it became the only way to do things. And of course, events became bigger and much better. Nowadays, there is no place for average events. 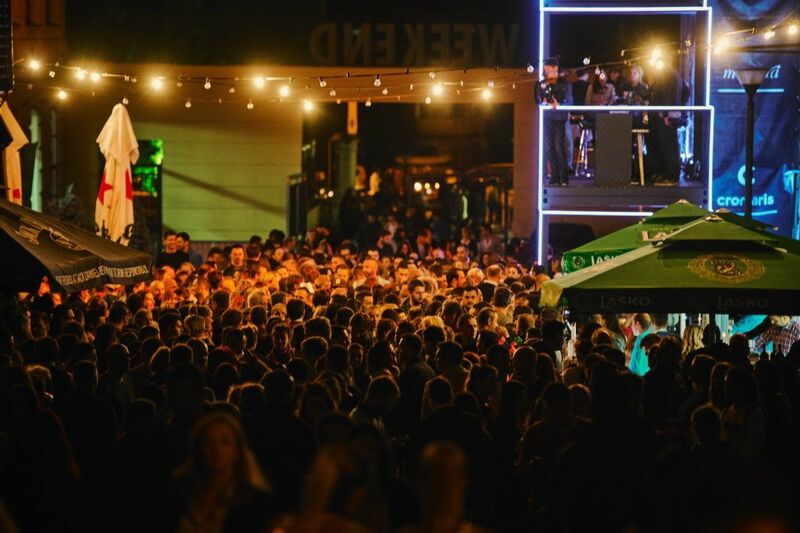 Q: You are also the organizer of Weekend Media Festival, the biggest media festival in region which takes place every September in Rovinj – what is the biggest challenge you are facing in organization of it? Yes, Weekend Media Festival is our biggest event which gathers the whole communication industry in region. The biggest challenge is to stay fresh, give people something new and different each time and trying to be better that the last time. The worst thing is to be boring and already seen. Q: What is the influence of Weekend Media Festival for city of Rovinj and Croatia as a tourist destination? There is a great influence for the city of Rovinj! 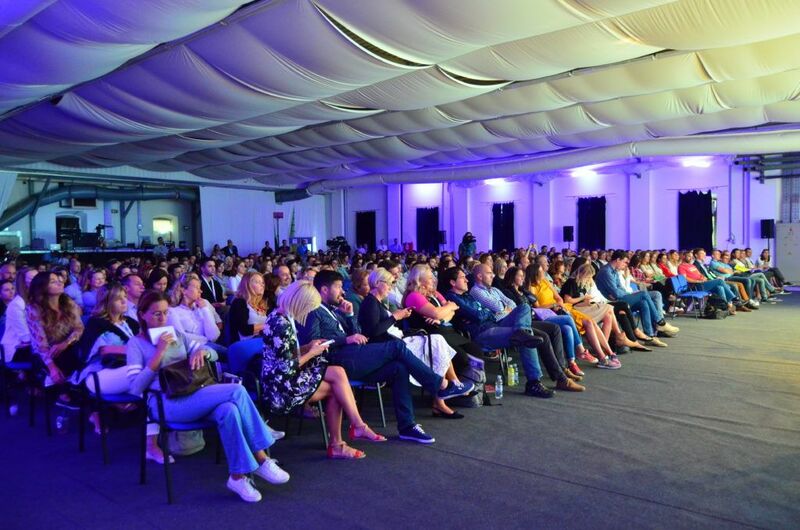 Weekend Media Festival was one of the events that helped Rovinj become the number one congress destination in Croatia. Q: In your opinion, what it the formula for the success of the Weekend Media Festival? The best thing of Weekend Media Festival is that our team is the same as it was the first year. We all know our assignments and we all love what we do with Weekend Media Festival. Q: How can venues help even more to a success of event? Weekend Media Festival is a perfect example. First, there is a beautiful town of Rovinj, which everyone loves to visit and the end of September, which is like the last catch of summer. Then, there is a venue where Weekend Media Festival is held – the old tobacco factory. Something different. We just didn’t want to held that kind of event in some hotel. We wanted to give a mark with a new and different venue. Whenever we can, we try to revive old venues or try to find some new, never used venues. It always gives a good feeling to people. Q: What kind of future is ahead of event planners and events in general in this part of Europe? We will just have to wait and see. But as I said before, there is no place for average events nowadays. People want and deserve better. Q: What do you think the future holds in the field of Weekend Media Festival and where do you see the potential for the festival? Next year, in 2017 Weekend Media Festival will celebrate 10 years, which is for us as an organization, probably the biggest challenge. We will try to give the best of these 10 years and give a perfect overview and at the same time bring our participants the best new trends, perfect place for networking and of course great fun. Our Weekend Media Festival team works on this event throughout the year, gathering all information necessary to make it as successful as it is. Q: How would you describe your job in under 50 words? I can do it in 2. Joyful and always new. Q: What are the best moments you remember from your work? There are plenty of them, but bringing some of my music idols to our events might be the best! Q: What kind of people/co-workers inspire you the most? My agency and my team. We have a perfect combination of work and play. And we are all long lasting friends. Q: What is the best advice you have for everyone working in festivals or event planning?